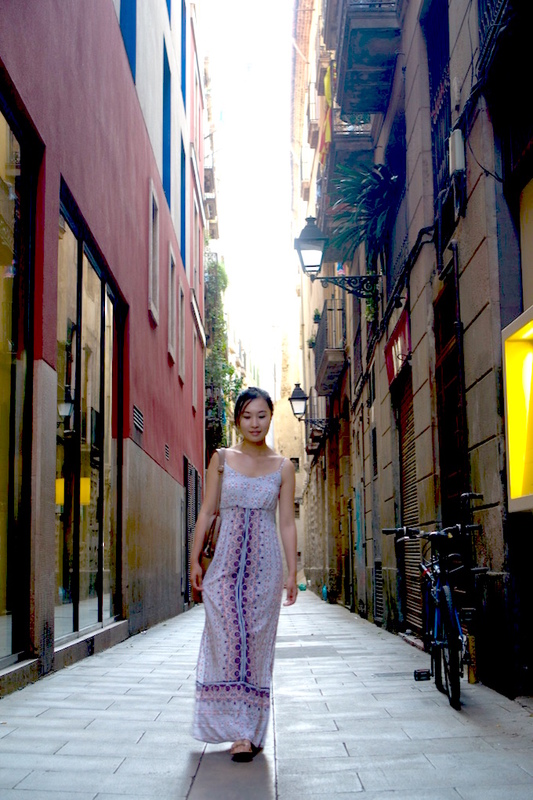 Although Paris was the highlight of my Europe trip, I'm certainly excited to finally post about Barcelona! Looking back at these pictures make me miss it so much, and after taking this walk down memory lane with me I know you'll want to go right away! 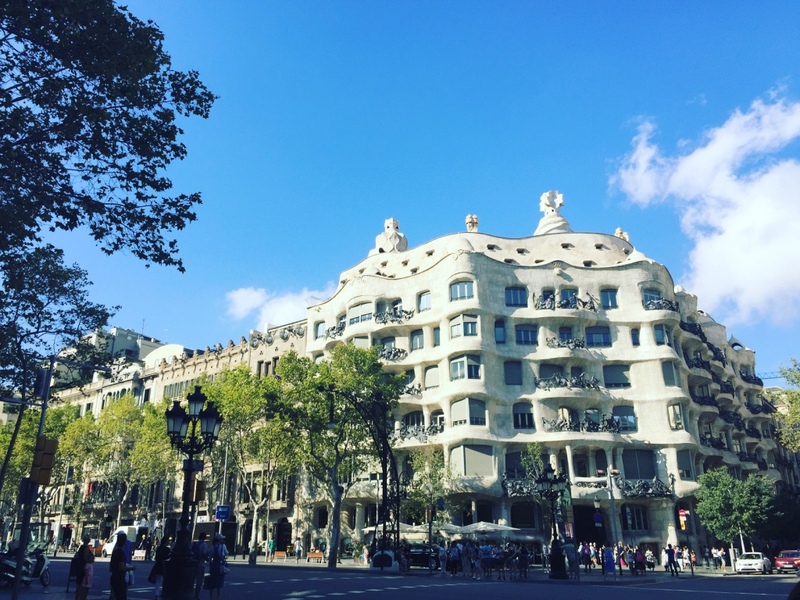 This is going to be a lengthy post so I hope it satisfies those who love eye-candy, drool worthy food and pretty buildings (who doesn't?). 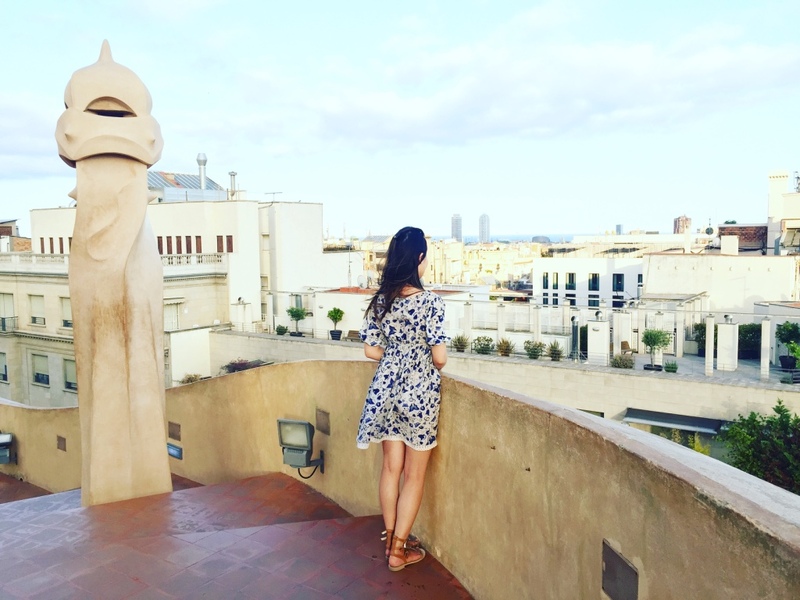 Overlooking downtown Barcelona on the top of La Pedrera. 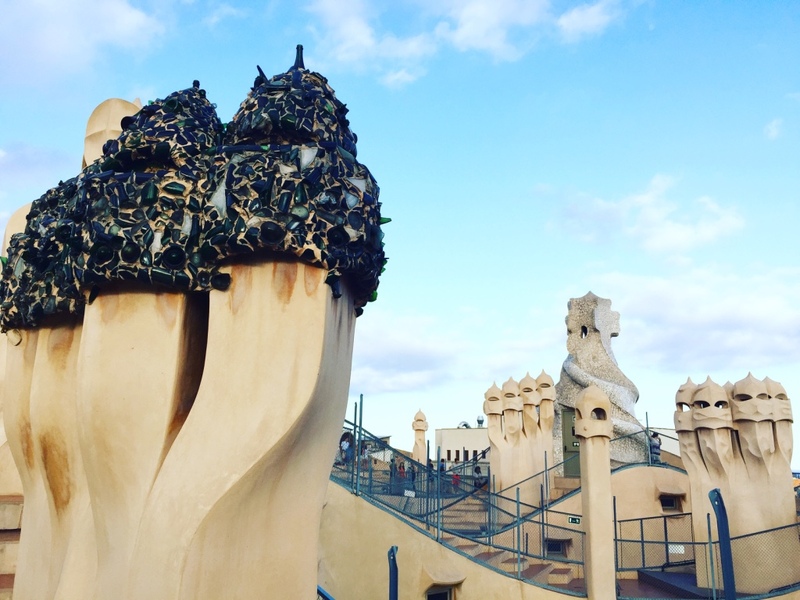 I must say this is one of my favorite works of Antoni Gaudi. 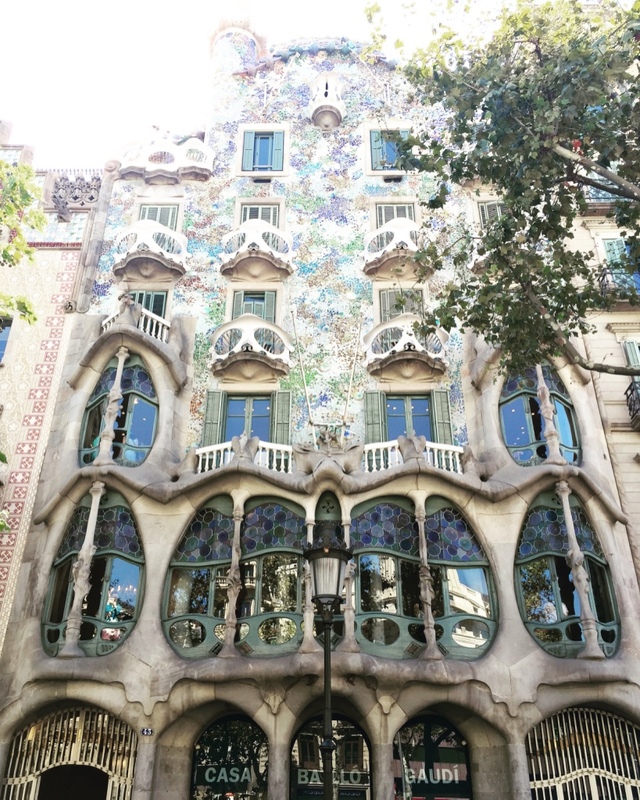 I admire the beautiful irregularities and feel it's one of his most imaginative buildings ever. 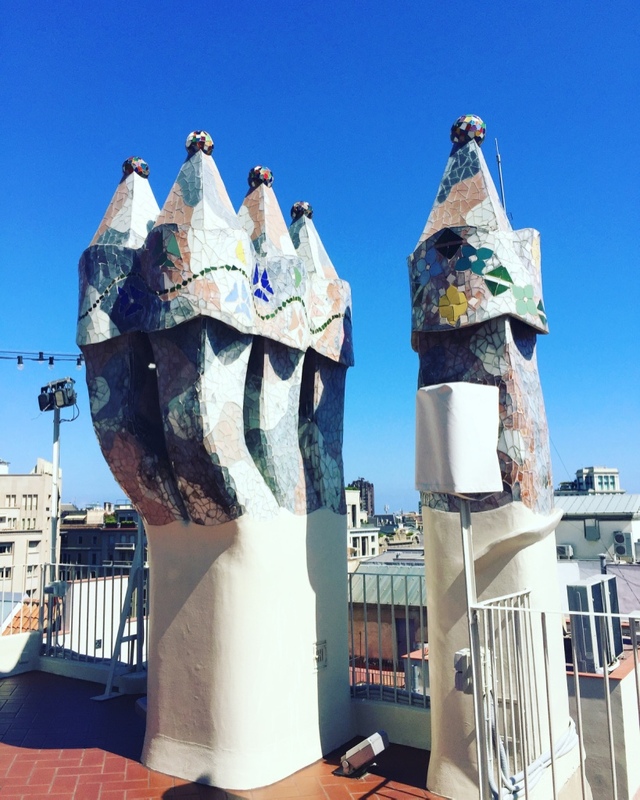 Some of Gaudi's distinctive whimsical chimneys on top of Casa Batllo. 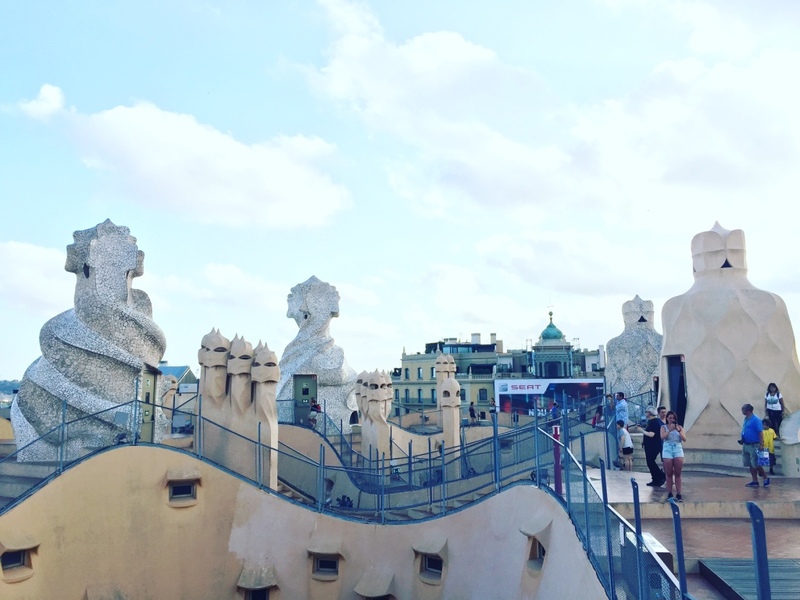 On Top of Parc Guell - another famous work of Gaudi's and now a Unesco World Heritage site. 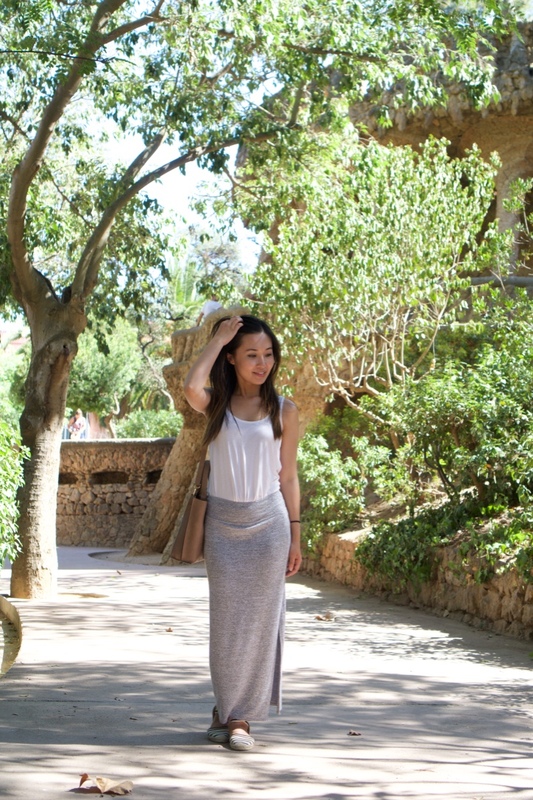 I wore this maxi skirt many times on my Barcelona trip since it was comfy and accentuated my curves. Details on the outfit above. 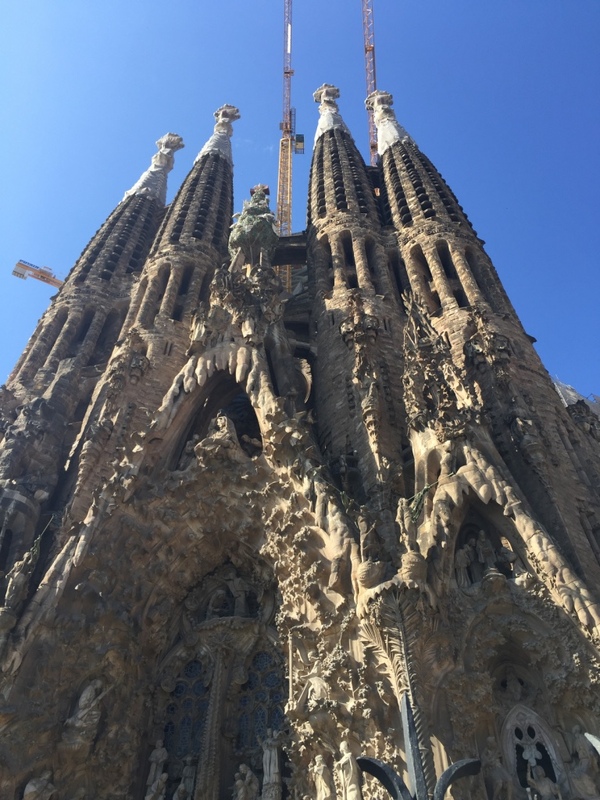 A trip to Barcelona is not complete without seeing The Sagrada Familia, another famous work by Gaudi. 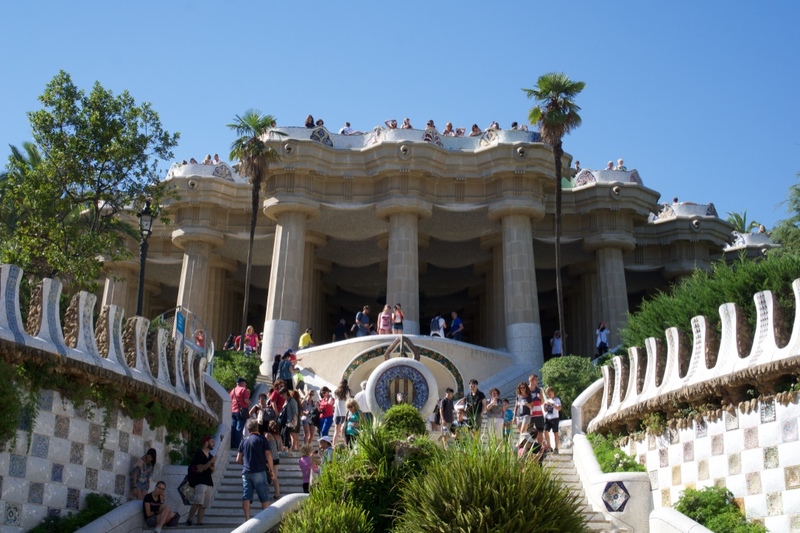 This is his largest and grandest project, but he unfortunately passed away before he could see it completed. 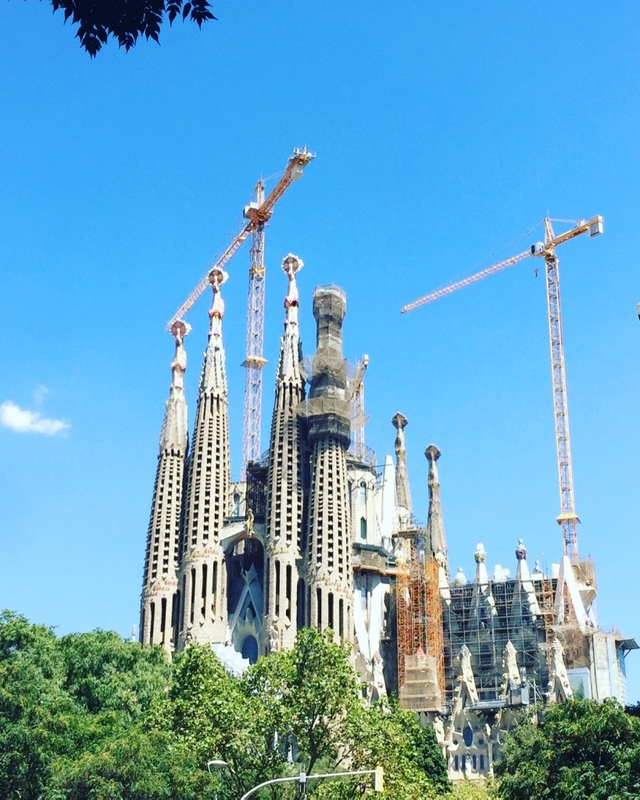 As you can see, it's still under construction and it's not slated to be fully built until 2026! 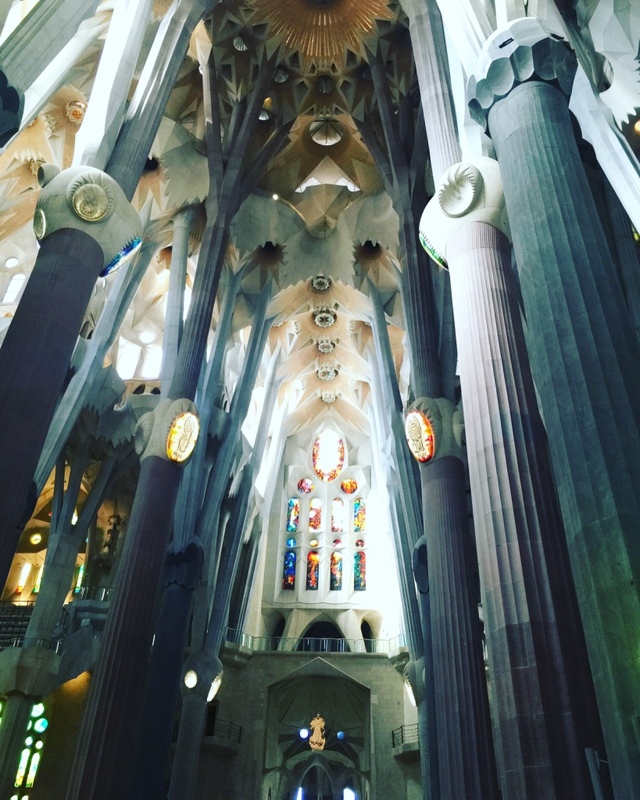 Inside was breathtaking! 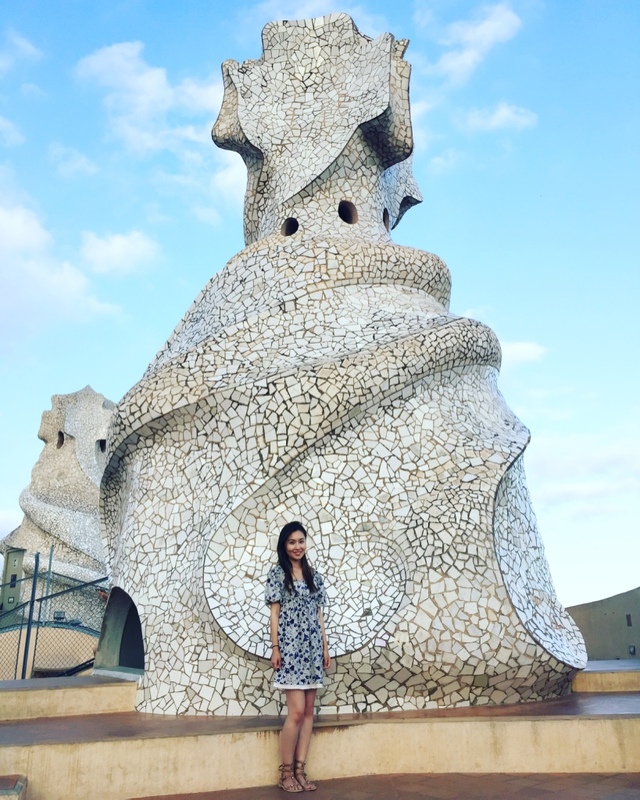 It's super hard to capture this on camera since there's so much to see, so it's definitely a must visit! 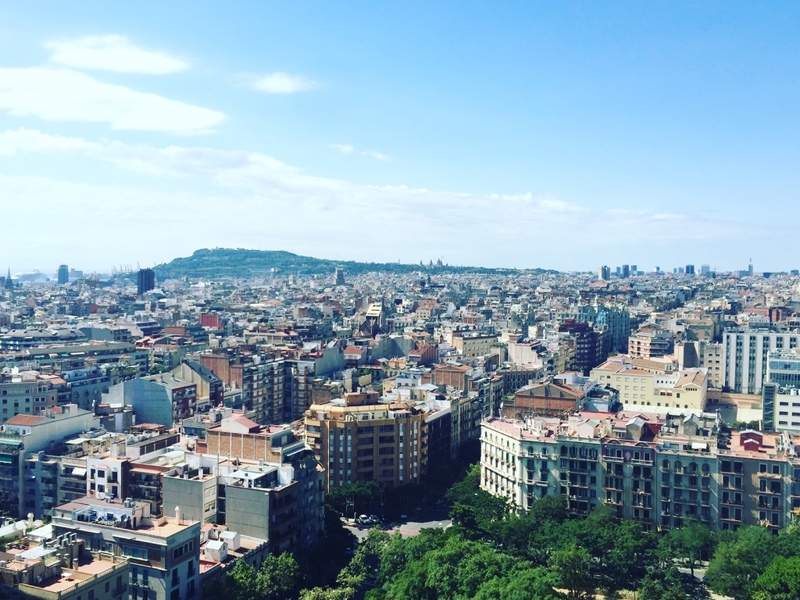 On top of the Sagrada Familia overlooking Barcelona. 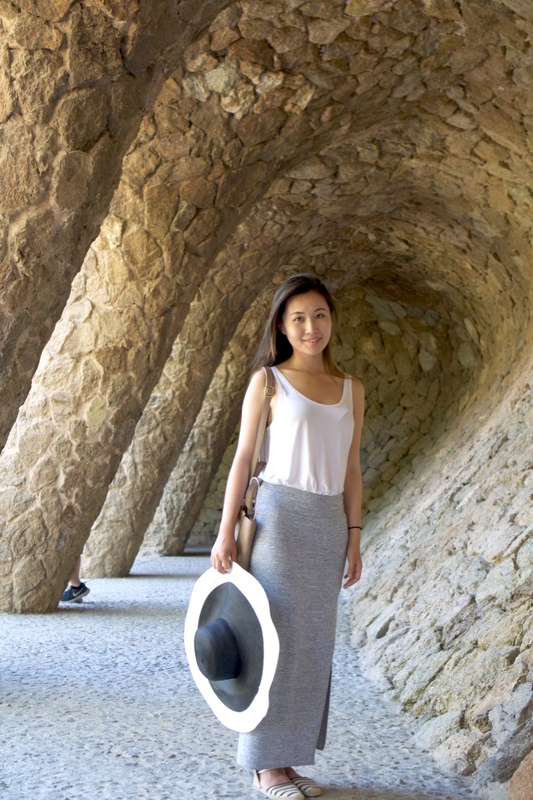 The trip to the top is actually a separate ticket, but since this is a once in a life time experience it's totally worth it. You take a speedy elevator to one of the spires, but be fully aware that you'll have to take the stairs back down to the ground floor. 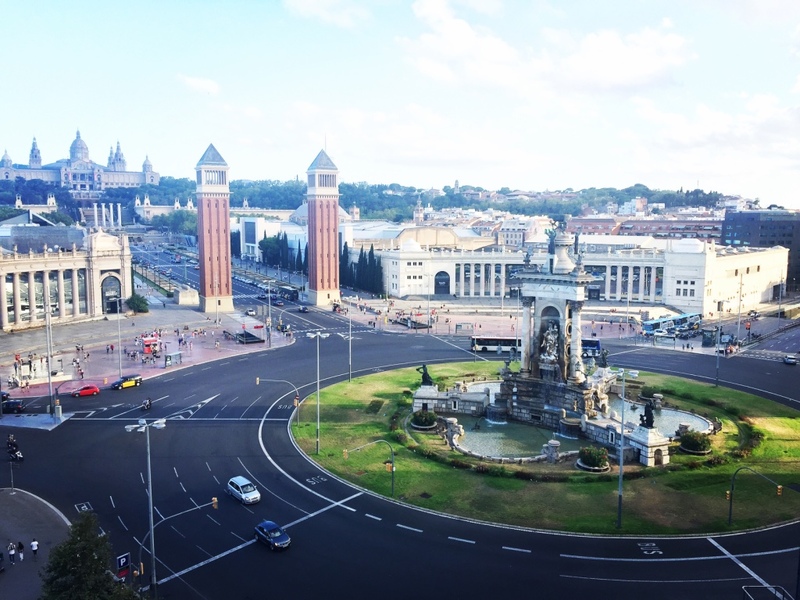 We went all the way to the top of a shopping building and saw an amazing view of the Spanish Square. This shopping mall is actually a converted bull fighting coliseum! Unfortunately most of the shops were closed when we visited, but the restaurants at the top were still open so we could enjoy a nice meal with amazing views. 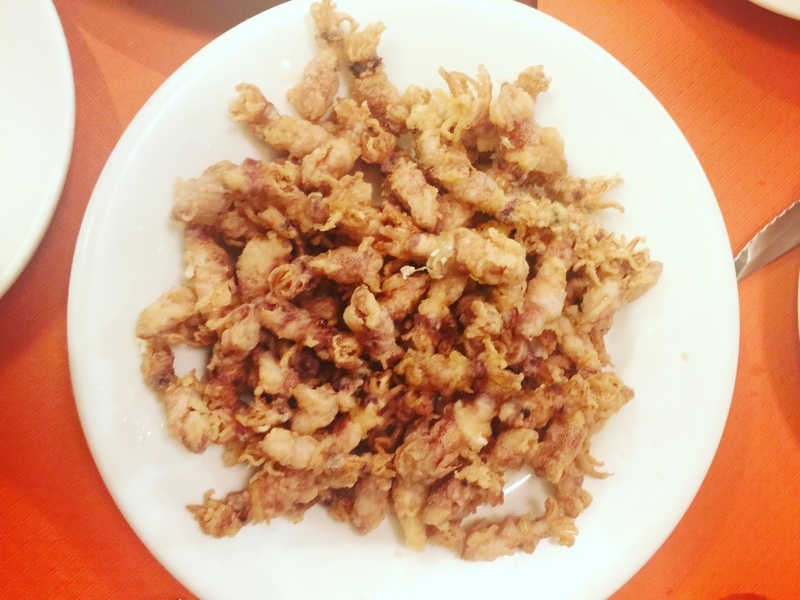 Chipirones (fried baby squid)!! I think I can eat 20 plates of these. If anyone is looking for an authentic, cheap, super delicious tapas place in Barcelona, go to La Bombeta! I haven't found any tapas place in San Francisco that's comparable to this, especially that carries Chipirones! 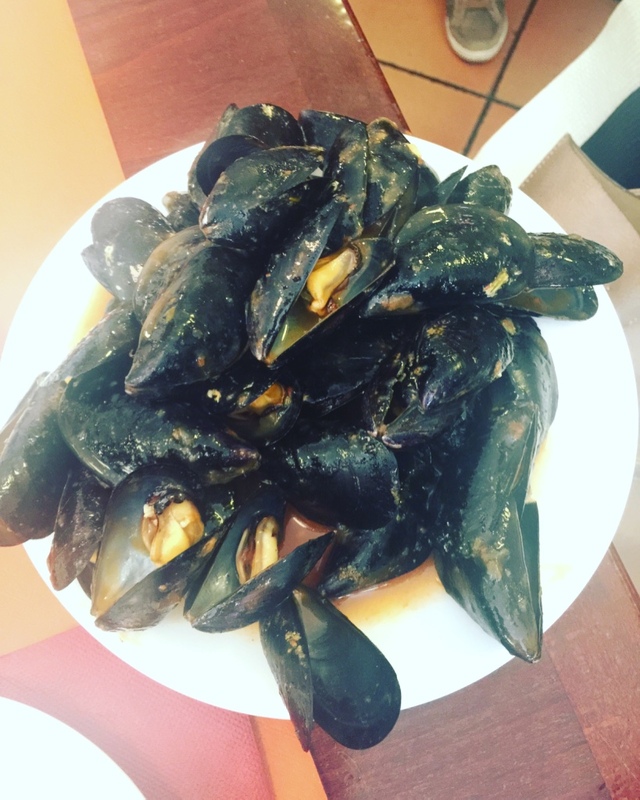 Best mussels I've ever had, also at La Bombeta. 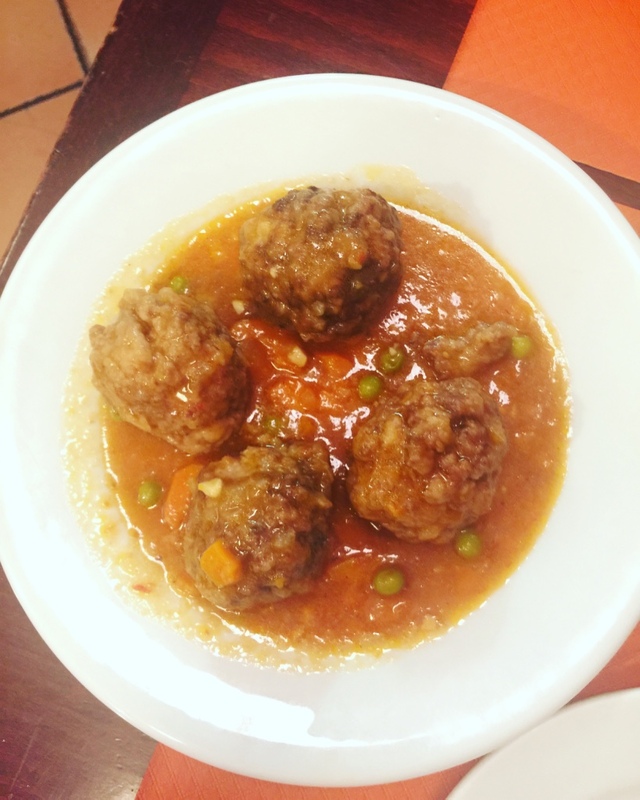 Drool worthy meatballs. Literally everything we ordered at La Bombeta was amazing. 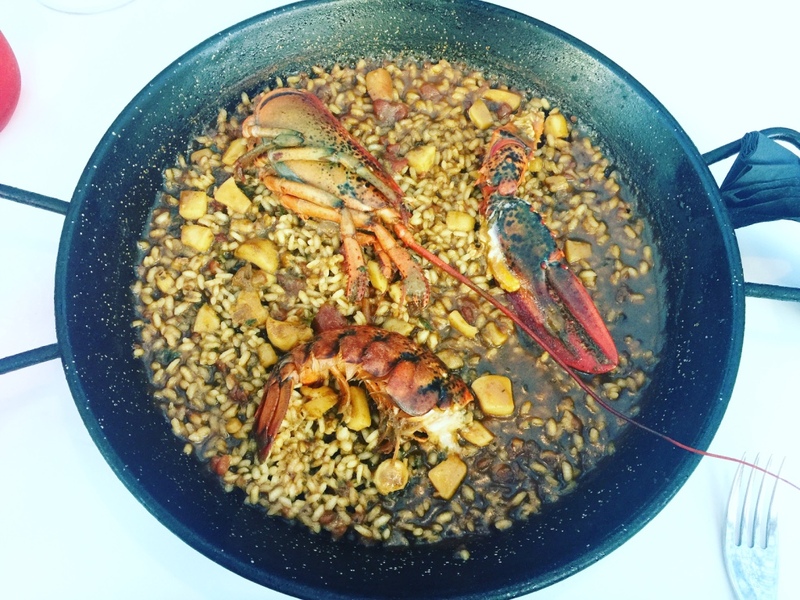 We had this lobster paella dish that was super delicious - not like anything they serve here in San Francisco. Barcelona's signature food - Jamon (dried cured ham). This was particularly interesting as I've never seen it served on a stick. 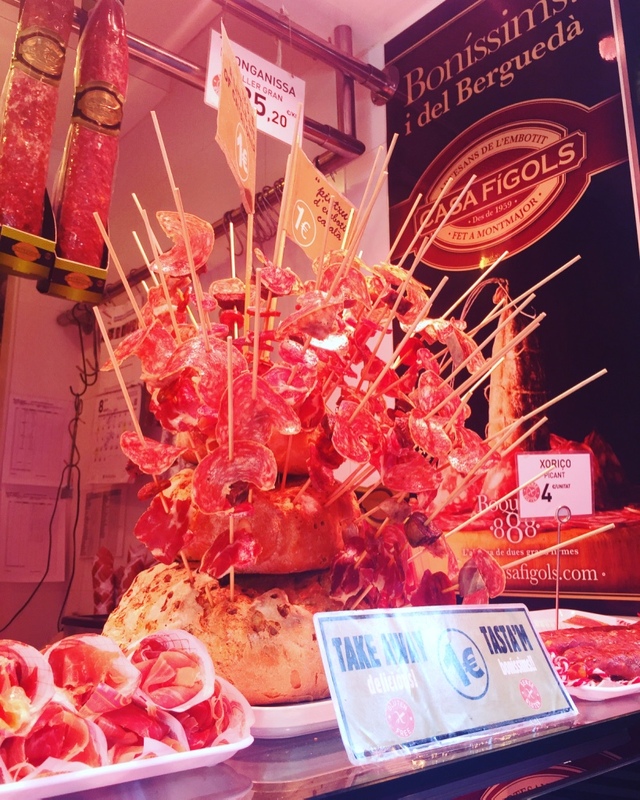 This little stand was right at the entrance to La Boqueria which is a large public market near Las Ramblas. Inside they have so many vendors selling everything from fresh fruit to seafood. We made a few purchase on our way through the market - quite tasty! 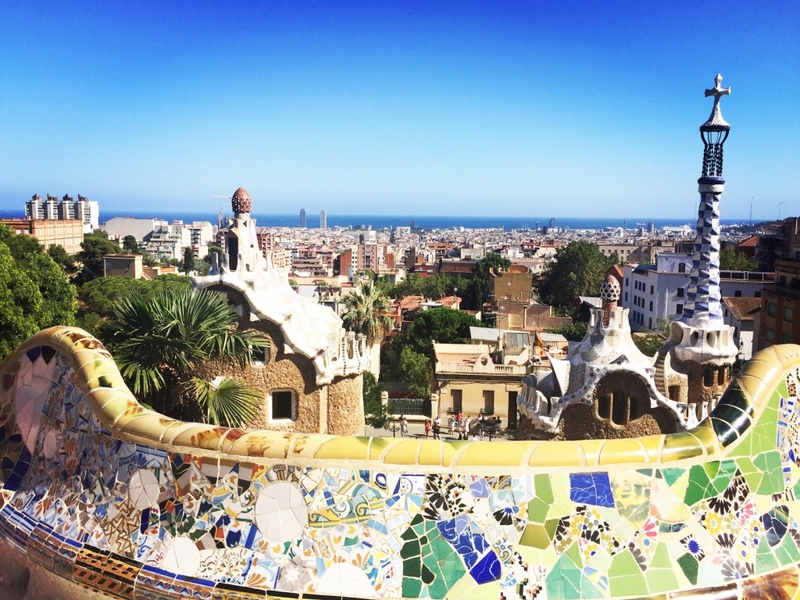 After writing this post, my stomach feels empty and I'm of course craving tapas! Hope everyone is hungry for tapas as well and let me know if anyone knows an authentic Spanish tapas restaurant that I could try someday!